Believe it, or not, the term mathematics has nothing to do with numbers, algebra, geometry, or anything like that! It was a term that was first coined a little before 500 BC by the community that studied and lived with Pythagoras in their community at Croton in southern Italy. They developed the term from the Greek word μάθημα (mathema) which meant subject of instruction. The term mathematics, therefore, meant subjects of instruction … particularly those subjects dealing with patterns and nature. 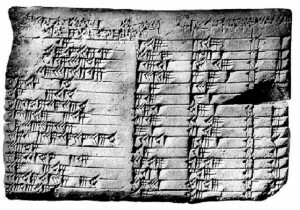 Consequently, by the 16th Century, a scholar studying mathematics at university could expect to study music, astronomy, arithmetic, ballistics, fireworks, chemistry, geometry, the new cossick art (algebra), etc., all under the ‘umbrella’ of mathematics. I am sure students in schools today would enjoy broadening their studies in this way! 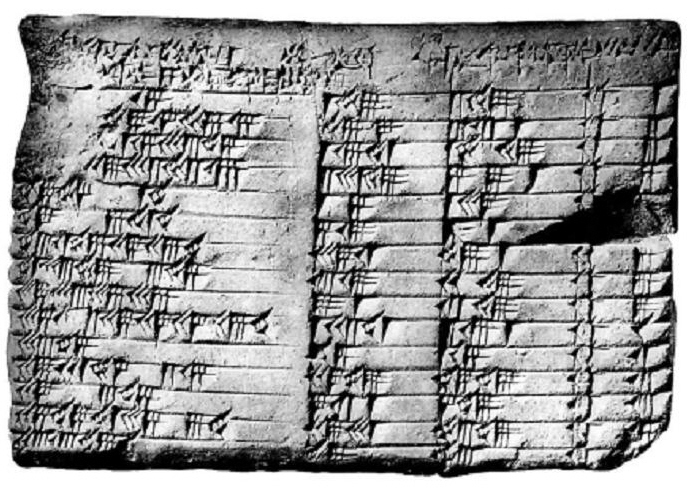 Of course, the development of mathematics dates from much earlier. From the time we assessed how much food we had, or whether someone had more than someone else, or whether we had sufficient to last for a period of time, we were using mathematical skills. This page will be steadily populated with anecdotes/stories from the history of mathematics, accounts of some of the amazing people who contributed to our understanding of this art, introductions to some of the famous theorems/concepts upon which our understanding is based, and even some explanation of where our symbols came from!